Leonard Fein, who passed away in 2014, and Elie Wiesel—both writers deeply concerned about Judaism and Jews—founded Moment to be an independent voice in the Jewish American community. Fein served as the founding editor for 11 years, establishing Moment as a forum for conversation on Israel and social justice. Fein interviewed Israeli leaders such as Shimon Peres (below, top left) and produced the magazine along with editors such as Carol Kur (below, bottom left). 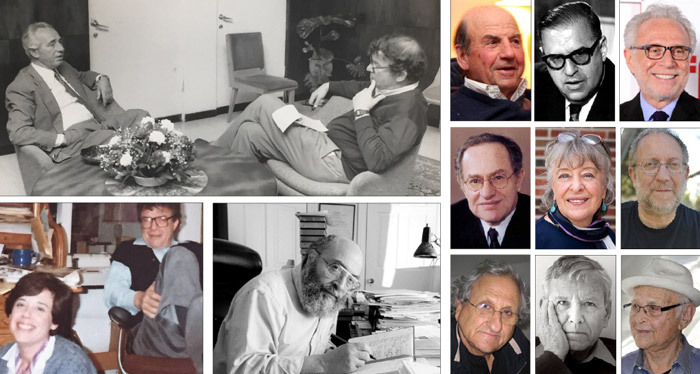 During this period, Moment’s pages abounded with opinions and stories by writers including Chaim Potok (below, bottom center), Calvin Trillin, Abba Eban, Wolf Blitzer, Alan Dershowitz, Susan Dworkin, Yossi Klein Halevi, A.B. Yehoshua, Amos Oz, Norman Lear (small photos, from left to right). A Moment e-book of Leonard Fein’s writings will be available at momentmag.com this summer. 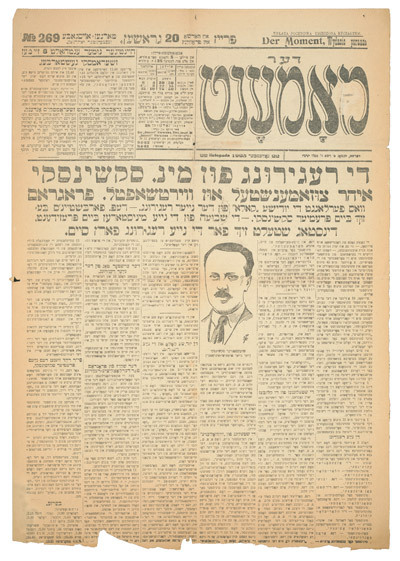 The independent, non-partisan daily was founded by writer and editor Zvi Prylucki and his son Noah, who was an attorney, political leader and Yiddish philologist. Der Moment was extinguished in 1939 when Nazis overran Warsaw. Zvi died in the Warsaw Ghetto and Noah was tortured and shot in Vilna. Above: Der Moment staff with Zvi in center. Left: The broadsheet, which was famous for its cartoons. 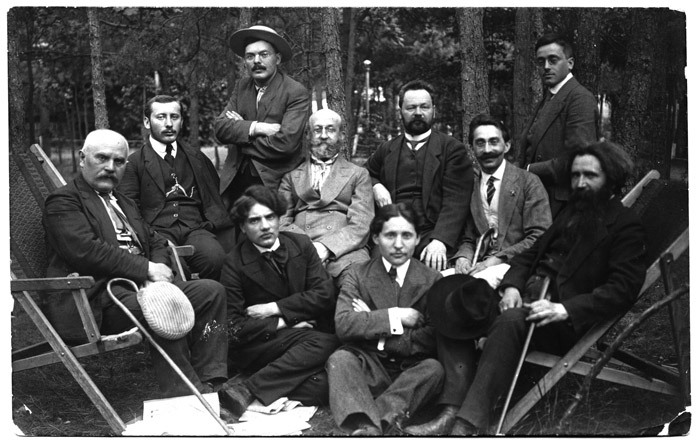 Below left: The linguist Deborah Tannen’s grandfather, Symcha Binem Tenenwurcel, holding a copy of Der Moment in 1914. Below right: Moment editor Nadine Epstein stands on the spot where the Der Moment office was located at 33 Nalewki Street. The building was destroyed when the Nazis leveled the Warsaw Ghetto. The street plan was altered after the war. This special section was prepared by Liat Deener-Chodirker. Photographs are courtesy of Karen Fein and the Fein family;Yossi Abramowitz; Deborah Tannen; Suzanne Singer; YIVO; individuals in photos and Creative Commons. 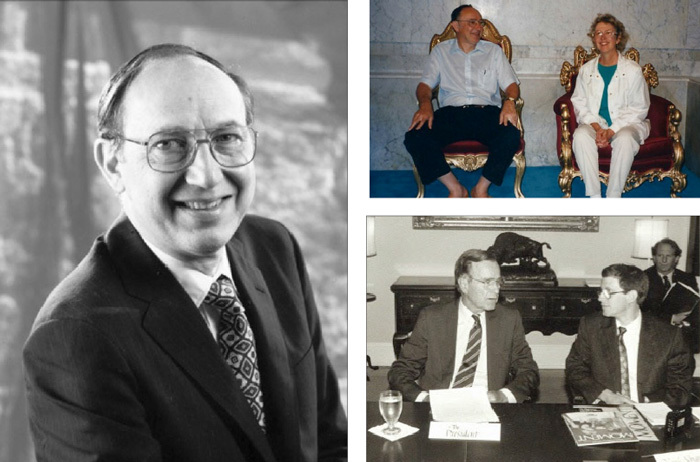 Hershel Shanks, the editor and publisher of Biblical Archaeology Review, purchased Moment, and for nearly 18 years Shanks expanded its reach with the help of deputies such as Suzanne Singer (above, top right: with Shanks on a trip to visit Jews in Uzbekistan and Azerbaijan), Yossi Abramowitz (above, bottom right: with President George H. W. Bush at the White House), and Josh Rolnick, cofounder of the Moment Magazine-Karma Foundation Fiction Contest (below, bottom right). Shanks, considered the world’s most influential amateur Biblical archaeologist, regularly visited excavations throughout the Middle East (below, left). 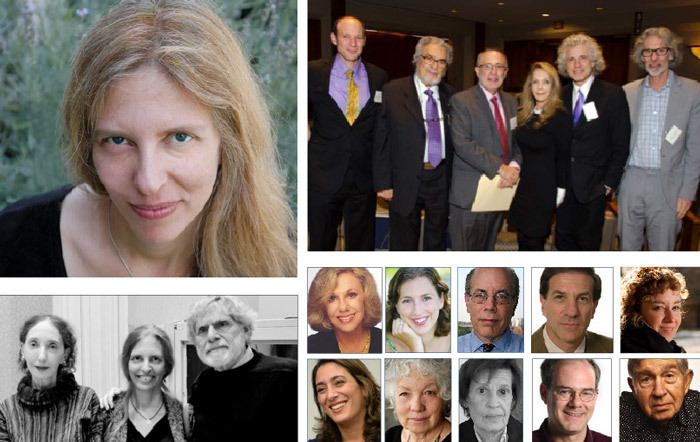 Writers and columnists on the Moment roster during this period included Arthur Waskow, Dennis Prager, Joan Nathan, Francine Klagsbrun, Caroline Glick, Deborah Lipstadt, Letty Cottin Pogrebin (small photos, left to right). 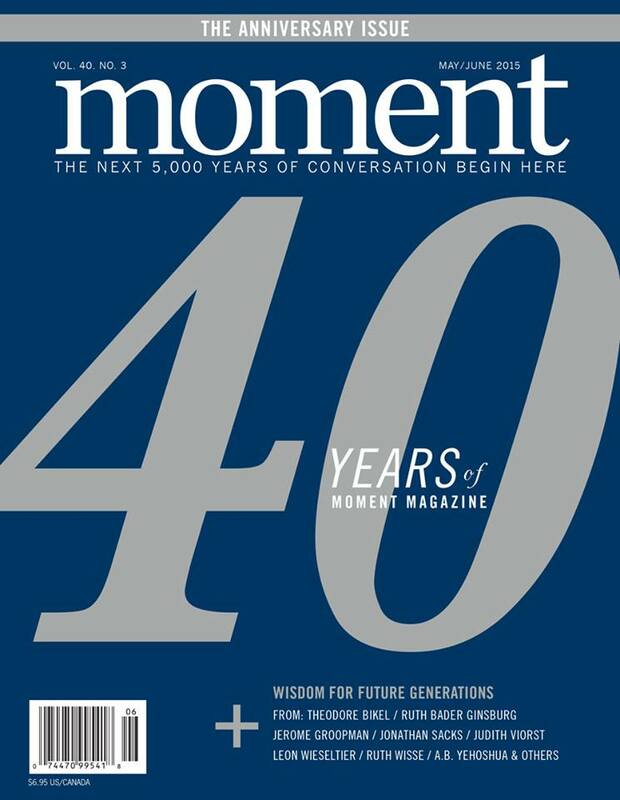 Longtime journalist Nadine Epstein took over Moment, becoming the first woman to lead the magazine. Aided by editors such as Sarah Breger, Mitchel “Mike” Levitas (small photos, bottom right), Amy E. Schwartz and others, Moment has won major national awards. Moment also produces print and live symposia as well as other events (above, top right: Creativity Symposium participants Barton Rubenstein, Leon Fleisher, Robert Siegel, Rebecca Goldstein, Steven Pinker and Bob Mankoff in Washington, DC; Above, center left: Joyce Carol Oates, Epstein and Alan Cheuse at a Moment Magazine-Karma Foundation Short Fiction Contest awards ceremony in New York City). In addition, Moment runs projects such as the Daniel Pearl Investigative Journalism Initiative, awarding grants to young writers such as Eve Fairbanks (small photos, top right). Editorial contributors include Erica Jong, Dara Horn, Glenn Frankel, Ethan Bronner, Ilene Prusher, Anne Roiphe, Faye Moskowitz, Marc Fisher and many others. Today‘s Moment staff is pictured above.